Branded packaging is a good way for others to know where they've gotten your products from. When I used to sell geeky pinback buttons I made, I branded the backers the pins were shipped on so the customer had more than a plain piece of card stock to look at. This is particularly important if you are selling at a craft show or other convention where customers will be purchasing products from various vendors. Business cards may be put in a different place than the products (like in a wallet or purse) and you want to make sure the customer remembers the product came from you. The layout of the design was based on how many buttons were going to be on the backer. 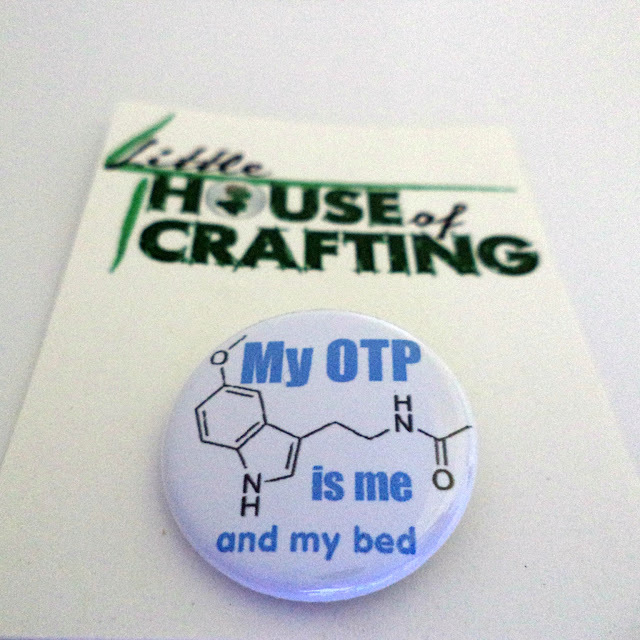 In my case, the buttons I sold were in sets of four or were sold individually. I wanted to make sure there was enough room for buttons to be placed on the backer with two buttons in each row. This fit well with the size of the polymailer I used to ship them in. All of these details are taken into consideration when branding packaging. The design of the backer allowed for enough room for rows of two buttons to be comfortably placed and for the logo to be properly proportioned on the backer. The layout of the logo allowed for a well-balanced horizontal design. The clean lines of the logo provided a good header for the backer. The branded backer provided a sturdy form of packaging for the buttons to be shipped on. The logo on the backer enabled online and offline customers the knowledge of where the buttons came from. In a way, these branded backers were a functional business card. What project would you like to start for your branded packaging? Email me at toni@normalnotfound.com and tell me about your project!